– Robert F, Executive Director, Boys & Girls Club of America. We are the utmost Creative Agency located in New Jersey, USA. 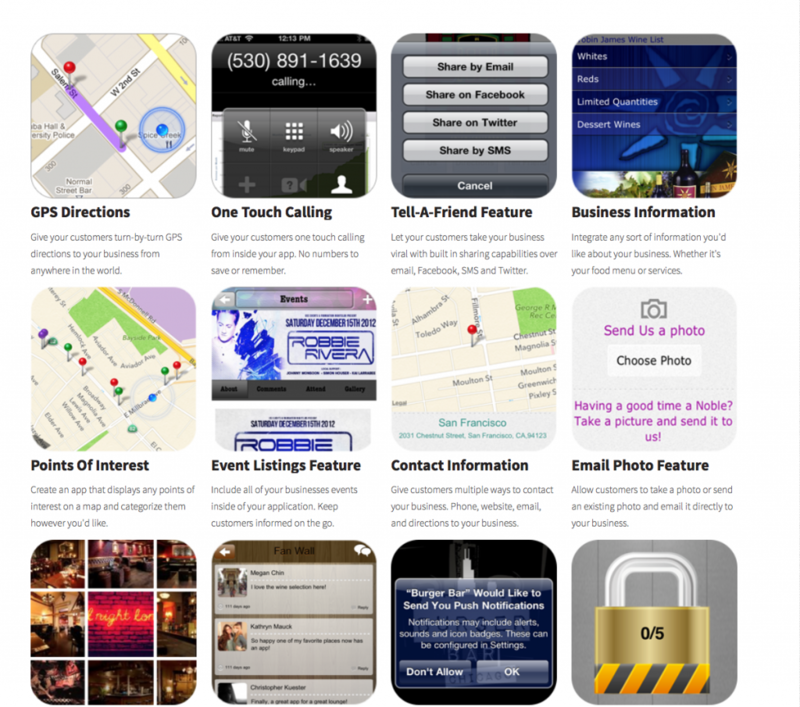 POWERFUL WEBSITES and PHONE APPS THAT LOOK BEAUTIFUL. With an effective structural layout and clear call to actions to we make sure that your website visitors are converted into a prospective client. Initially we will understand your needs and requirements and then act accordingly to fulfill it. We will slot in on what the true meaning of your brand and uniqueness really is and how you would like it represented. Brainstorming these ideas and concepts is how we bring into being your website and online presence. A brand isn’t just an important component of business. A brand IS business. The experience of your company, the relationship formed between you and a customer, is the number one driving force for success. We’re here to help. Green Fuse Creations builds brands from the bottom up, creating a striking, recognizable logo, crafting a personality, and building a trustworthy character that carries across all mediums-from business cards to brochures. We will help you by framing out a custom ecommerce website design & build put up your online stores according to the detailed requirements of the products & services that you make available. Like with content management systems (CMS), there are some extensively accessible shopping cart solutions that we can bring into play to build your ecommerce website in. The solutions that we create for shopping cart websites range from free open source to commercial based systems. In order to make it with the best online shopping cart possible we will analyze and determine your requirements completely and then advise the best course of action for your online shopping cart. A website should be responsive and responsive websites are a great way of making your website mobile and tablet friendly. It is coded in such a way it gets adapt to poles apart size screens that your visitors will be viewing. This technique is fairly new-fangled to the market and it offers a great way to make your website mobile friendly, devoid of having to create detach mobile websites. It is also a huge upcoming proof solution, as no matter what screen size comes on the market next your website will become accustomed. For a variety of industries and formats we provide high-end graphic design services ranging from printed materials and advertisement, to digital graphics and media, we work intimately with our clients to generate highly creative and spectacular works of art, used for any purpose. We’ve produced graphics for hundreds of clients used in print magazines, tradeshows, television ads, and websites. We brand everything i.e. (from companies to intangible products) having worked with a wide range of companies, we can make sure that even yours would be an outstanding one. Apart from that, we also handle marketing material design, box and packaging design, digital marketing artwork and many more. By way of graphic design we develop a new and existing brand which is our main goal. Our wide range of ability and proficiency has allowed us to productively brand and market a wide range of products, services, and even people, on and off the web. With a world wide recession, photographers and small business owners are forced, more than ever to think creatively, to think outside of the box. With little or no money to invest in your one-woman business, how can you move forward? How can you build your brand and make sure to get more happy and paying clients through your door? GFC offers Photography to all of New York, New Jersey. We’re also willing to travel to other locations. GreenFuseCreations.com provides state of the art photography and virtual tour services to real estate brokers, home builders, architects, interior designers and retail establishments. The industry leaders since 2011, GFC serves almost every top producing sales agent, every major realty brand, and many of most successful home builders. What’s so great about GFC? Bottom line, the GFC system delivers consistent, reliable results. We work as a team – with customer service professionals and photographers that make the whole process easy and enjoyable. Elite photographer recruitment program. – Our photographers are the highest paid in the industry, and for good reason. Our unique presentation – Our virtual tour platform is unique and powerful and delivers amazing results. We offer birds view additionally to 3d walk around of the actual property. Letting online buyers virtually tour a property has never been easier. With our photographer, anyone can get a scan quickly. Put your audience in the news. Founder and CEO say that every home should be seen online, and that “sellers should only have to clean up and get out when they know the prospective buyer is already interested.” We believe that professional photography and virtual tours are the single most effective marketing tools available to the real estate industry, and he attributes the success of his company to the fact that GFC has made those things affordable for everyone. Five Steps to a faster sale and more buyer & seller contacts. Add your virtual tour to the MLS. Upload your virtual tour to Realtor.com. Claim the property on Zillow and post your photos and virtual tour there. Share your branded virtual tour link on your Facebook, Twitter, or G+ accounts. 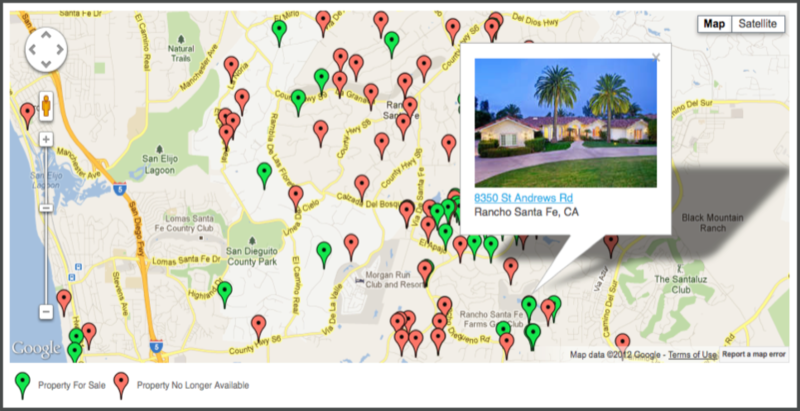 More prospects will get introduced to you from a single virtual tour, than from any other marketing source. – The ROI from Professional Photography & Virtual Tours is stunning. Virtual Tours Turn Your Clients Into Your Best Salespeople. Top Selling Agents have figured it out… When you provide a virtual tour for your listings, buyers and sellers post it on facebook and twitter, and they share that tour with everyone-they-know; neighbors, friends, and co-workers. That translates into POWERFUL word-of-mouth advertising. But they’re not just promoting your listings, they’re referring YOU, and showing the world what you do to market homes, vs. the competition. Virtual Tours aren’t just about selling homes anymore… they’re like steroids to your listing presentation. Turn your ACTIVE and SOLD listings into virtual tours today. It’s super easy! If a photo is worth a thousand words, make sure they’re saying nice things about you. High-quality photography will enhance your professional image and attract more business. We have the experience and talent to deliver the results you need. Email or call to schedule your photo shoot. Commercial properties, Retail establishments, Hotels & Resorts may require a custom quote. Photography $155 – Up to 1100 s.f. $175- 1101 to 2500 s.f. $195 – 2501 to 3500 s.f. $225 – 3501 to 4500 s.f. $265 – 4501 to 6500 s.f. All images and virtual tours are ready and delivered the next business day and photos are delivered in high resolution (print) and low resolution (web), via Internet download. The concept of “virtual tour photography” is to show a home in context; to walk a prospective buyer from the front door, through the entire home. A wide angle lens is used, capturing every main room, from just about every angle. An average home will produce 30-40 photographs. Pricing is based on square footage. The objective of twilight photography is to capture the entire home during the last 90 minutes of sunlight. This includes 60 minutes before the sun sets, and 30 minutes after. The average home produces 25-35 photos total. There is a 15-20 minute “twilight” window, where the photographer will capture as many photos as possible – typically 4-5 twilight images. Upgrade to “Twilight Plus” for $75 more. With this option, the photographer will show up earlier in the day, and return for the evening shots. Each appointment allows the photographer to capture the exterior with preferred lighting – when the sun is on both sides of the house and capture interiors without the sun shining directly through the windows. Home Builders, Interior Designers, and Luxury Home specialists require Money-Shots. While the objective of Virtual Tour Photography is to capture as many photos as possible for a walk through tour, Money Shot Photography focuses on only the best compositions. The difference really comes down to the art of using light, and the extra time and resources that go into each individual photo. Both options provide exceptional photography, but each has its own purpose. Note: Money shots are considered an upgrade service which can be added after an order is placed. Money Shot Photography focuses on specific areas of a home. Green Fuse offers Real Estate Photography to all of New Jersey, New York. We’re also willing to travel to exotic locations. With Aerial Photography, you can expect 5-10 images per property. As conditions permit, we always attempt to capture your aerial photos from multiple angles at *approximately 30°, 60° & 90° degrees. At 30° the goal is to capture the house at a low level, with emphasis on the home itself. At 60° the photo typically shows the home in relation to its environment, which could be the land or the neighborhood. At 90° the photos are similar to a satellite view. Aerial photographs are expertly edited and delivered in both high and low-resolution formats, available for download the next business day. Can you imagine what the neighbors would say? Aerial video captures everyone’s attention. You’ll be a hit with your clients, and anyone else thinking about putting their home on the market. 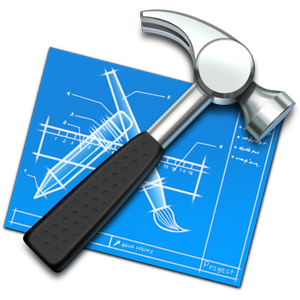 We’re simple – build apps in minutes. 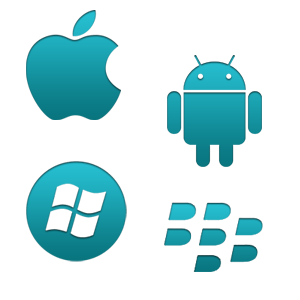 GFC allows you to simultaneously create, edit, and manage native iPhone, iPad, Android, and mobile web apps online. 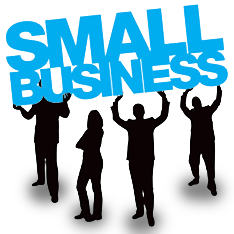 GFC was built from the ground up with small businesses in mind. 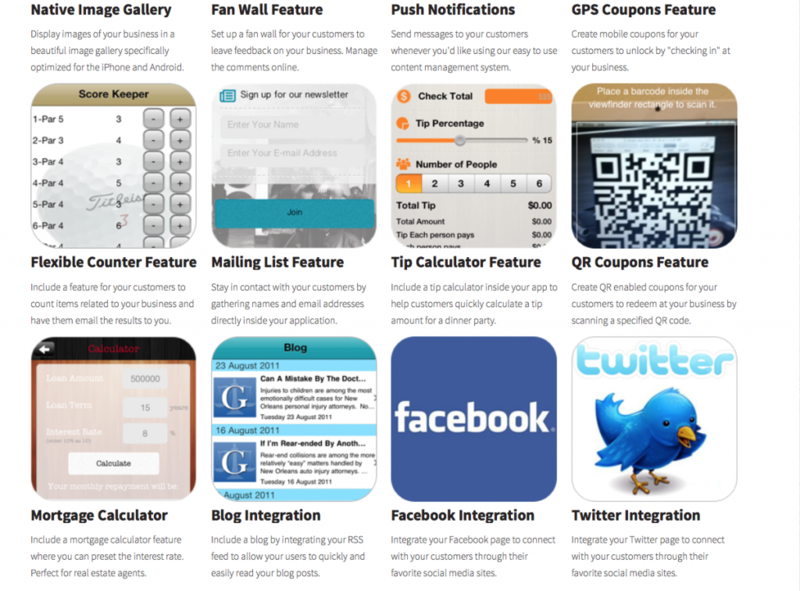 From our ease of use to the features that we offer inside our apps – we are specifically designed for small businesses.